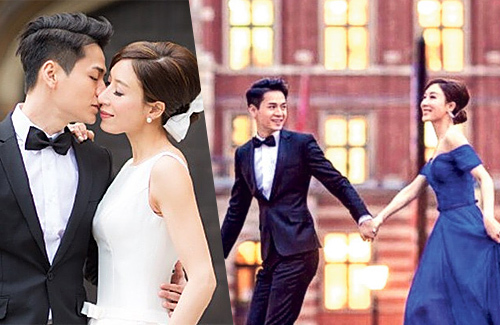 It has been almost three years since Tavia Yeung (楊怡) and Him Law (羅仲謙) were married. Since then, Him had been working hard to earn money so that Tavia can reduce her workload and prepare to become a mom. Aside from her occasional filming projects, Tavia’s recent schedule is very leisurely. Reflecting upon their relationship, Tavia confessed that when she met Him while filming the drama The Hippocratic Crush <On Call 36小時>, Tavia did not pay any special attention to him or think they will date. Unknown to Tavia, Him was actually trying to get close to Tavia. When Him found out that Tavia and his birthday were only two days apart and they will be busy filming together, Him took advantage of the situation. Him asked Tavia’s assistant if they could celebrate their birthdays together with the other crew members and brought in a roasted pig. After this celebration, they grew closer. Since starting their relationship, Tavia felt that Him changed for her. Him used to be very lazy and wouldn’t even pack his luggage until the last minute. However after they got together, Him would take the initiative to bring a backpack to carry Tavia’s water, travel books, and umbrella. In addition, Him is not very materialistic and would not buy flowers or expensive gifts for Tavia. In Him’s mind, their relationship cannot be defined by material goods.